Lucknow, April 11: A controversy involving the electronic voting machine (EVM) erupted in Bijnor, after a voter claimed that he pressed the BSP button, but the vote went in favour of the BJP. The incident was reported earlier in the day from the Mirapur assembly segment in the Bijnor Lok Sabha constituency. At polling booth no. 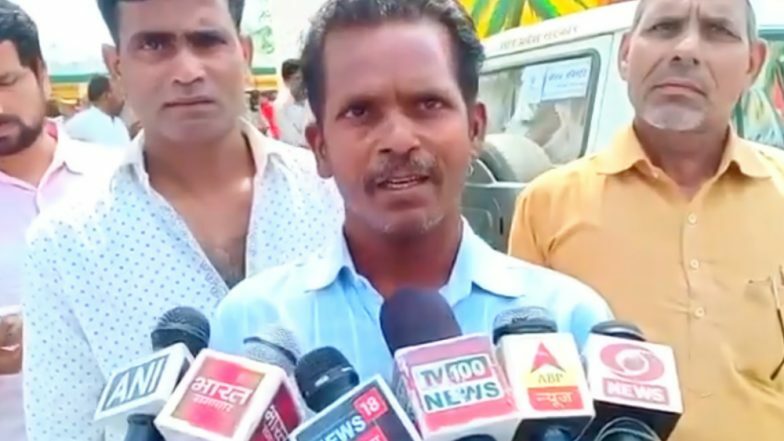 16, a voter identified as Dhara Singh raised an alarm after his vote allegedly went to BJP candidate Raja Bhartendra Singh, despite pressing the ballot in favour of BSP's Malook Nagar. Bijnor Lok Sabha Constituency in Uttar Pradesh: Candidates, Current MP and Past Results. Speaking to reporters, Dhara Singh said, "At around 2pm, I pressed on the elephant, but the lotus symbol was lit. 6 voters faced the same issue. We immediately alerted the authorities." BSP candidate Malook Nagar repeated the charge, demanding the Election Commission to look into the incident. Nagar further alleged that in Muslim-dominated constituencies, the EVMs turned dysfunctional for more than a hour, which has hindered the minority community voters from registering their votes. The district administration, however, has denied the charge saying that minor glitches were faced only during the mock voting. "There were no cases of EVM manipulation. The voting has been peaceful," said sector magistrate Rakesh Kumar. The BSP, meanwhile, has registered a complaint with the Election Commission. "In Uttar Pradesh today, the police & administration stopped members of Dalit community from casting votes. We've registered complaint with Election Commission regarding this and requested immediate action. We've told EC that higher-ups had a hand in this," said party MP Satish Chandra Mishra. "We've registered another complaint with Election Commission & have sent them a video clip of EVM, in which it is seen that 'elephant' symbol is being pressed but vote is going to BJP's 'lotus' symbol. Our people had complained against it but no action was taken," he added.